​Cooler weather is coming (hopefully), along with Large Patch Fungus disease. Until recently, this disease was refered to as Brown Patch. Large Patch infects the grass when soil temperatures are in the 70°F's, and often infects the lawn very quickly. Click here for more information. Overcast and almost constant rain over the past two weeks is encouraging the development of fungus diseases in lawns and landscape plants. While fungicide applications certainly help, they are no substitute for favorable growing conditions. We are hoping for some sunshine soon! After a couple of cold snaps that led to frost injury to some lawns and landscape plants, things are starting to shape up. Azaleas and Camellias are in full bloom and lawns are greening up. Now is the time to fertilize and get your landscape ready for the upcoming summer months. A cold front is expected to bring freezing temperatures to our area. We recommend that cold-sensitive plants are covered with light sheets or commerically-available "frost blankets". 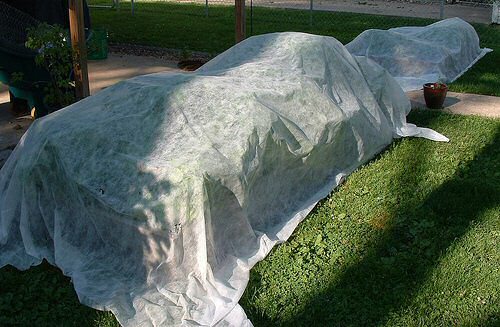 It is important that covering is draped over plants and extended all the way down to the ground. Remove covering in the morning to allow for ventilation. 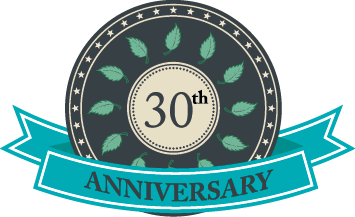 For more information check out the publication "Cold Protection of Landscape Plants" from the University of Florida. ​​As reports of mosquito-transmitted Zika virus increase, the demand for effective mosquito management is growing. 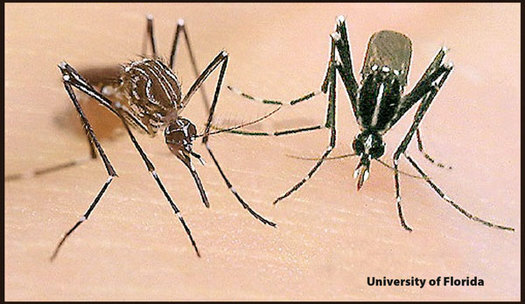 Unlike many mosquito species that feed at dust and at night, the mosquitoes that transmit Zika feed during the daytime. This feeding behavior, as well as the unique breeding habits of these mosquitoes, creates a challenge for county and state agencies that typically handle area-wide mosquito control. At Environmental Pest & Lawn Services, our technicians are extensively-trained in the management of both daytime- and nighttime-feeding mosquitoes, identification of breeding sites, and customer education. For more information on Zika virus, including up-to-date infection reports, click here. Asiatic Jasmine has long been a prime choice for a low-maintenance ground cover due to its low maintenance requirements. In the past several years, significant decline in established Asiatic Jasmine plantings has become commonplace. Decline is usually associated with excessive moisture, which provides ideal conditions for fungal infections. We have submitted many samples of declining Asiatic Jasmine to the Plant Pathology Laboratory at the University of Florida. The most common diseases found to contribute to decline include Sclerotium rolfsii (Southern Blight), Rhizoctonia Root & Stem Rot, and Fusarium Root & Stem Rot. The current recommendation for plants infected with these diseases include removal of infected plants, improving drainage, and application of labeled fungicides when appropriate. Sugarcane Mosaic Virus (SCMV) causes decline and death in St. Augustinegrass lawns, especially the variety 'Floratam'. This disease was prevalent in the 1960s and, due to cultivation of resistant varieties, has not been problematic again until 2013. 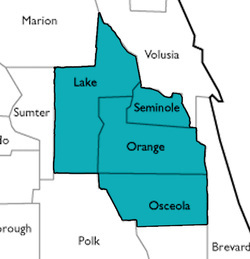 The disease has not been documented from Orange, Seminole, or Lake counties as of today. St. Augustinegrass lawns in six other Florida counties have experienced significant dieback due to this disease since 2013. This virus is easily moved-around with mechanical equipment (mowers, trimmers, etc.). Infected sod may also be brought into healthy lawns through new sod. Researchers at the University of Florida are closely-monitoring the spread of SCMV on St. Augustinegrass.